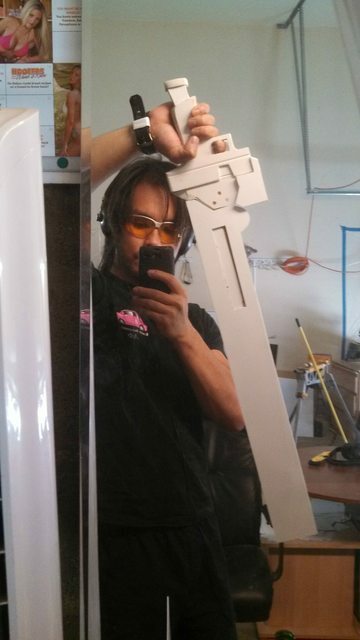 For several reasons I just got up and made Gambol Shroud for our friend Haku. 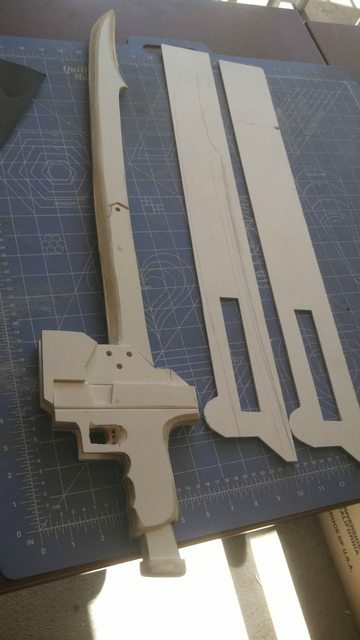 She was the Blake for the RWBY SDCC group and was the only prop that I had no part in making. Long story short I made it purely for reasons of dumb manly pride. I was given the model spins as part of the SDCC project so I was already set on patterns. 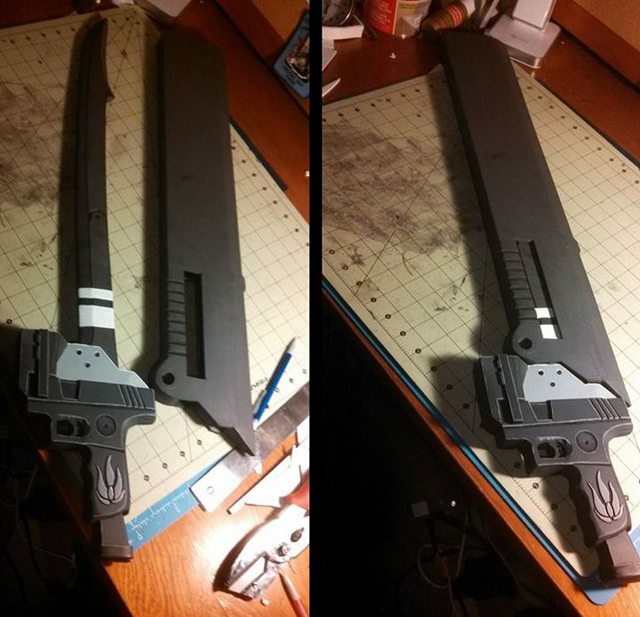 The black line on the top of the blade is my doing. 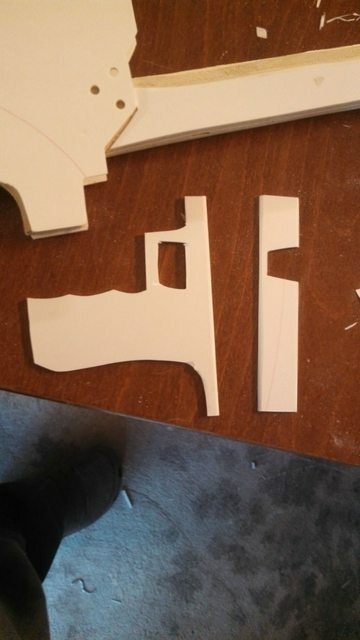 It's to line up the curvature for the sheath. 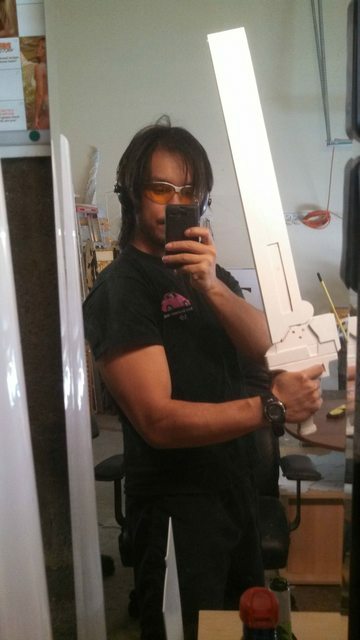 Made the blade first from plywood and put some sections of PVC foam for the handle. Made a little detail for the magazine. 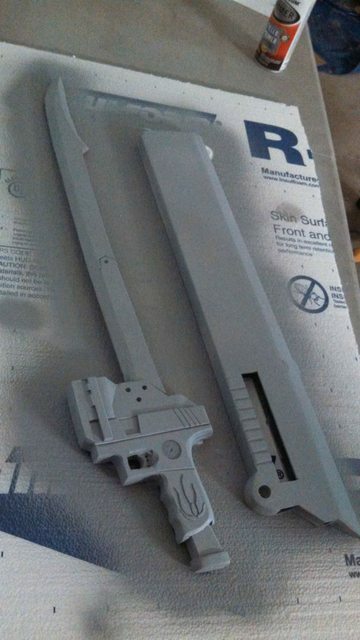 Added 1mm PVC foam to the blade for detailing. 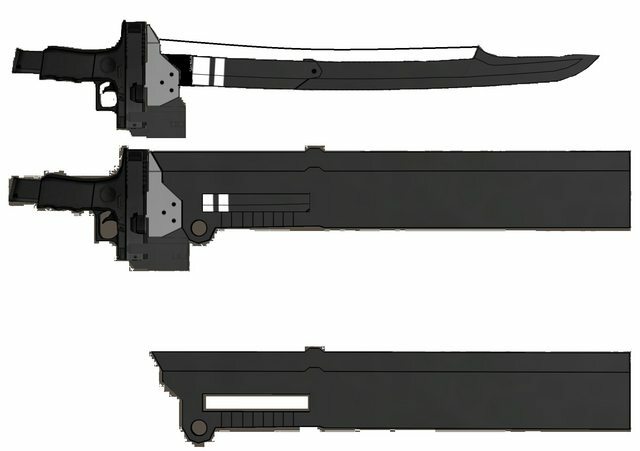 A lot like the 3DMG swords. 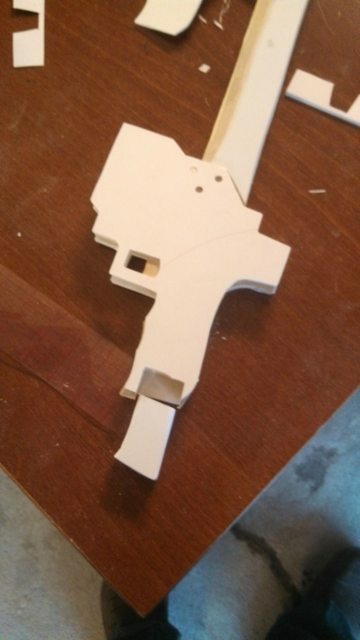 Added some details for the gun's faceplate. 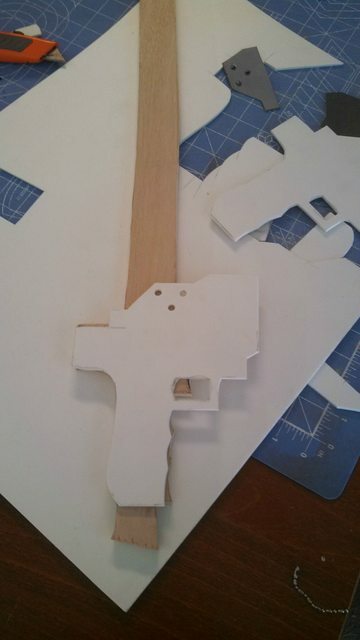 Added more details using a drill and some files. 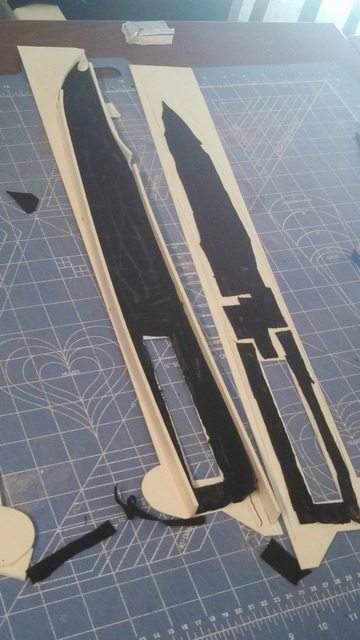 Started patterning the sheath section. 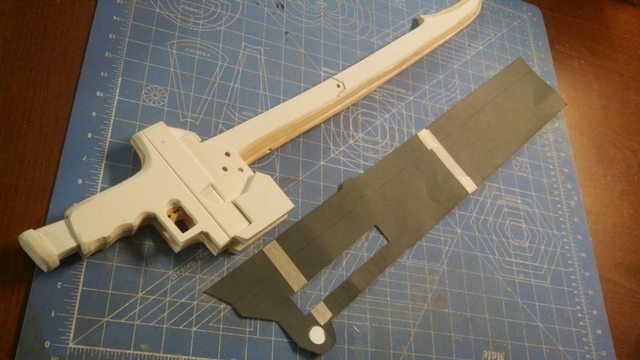 Cut the sheath from 3mm PVC foam. 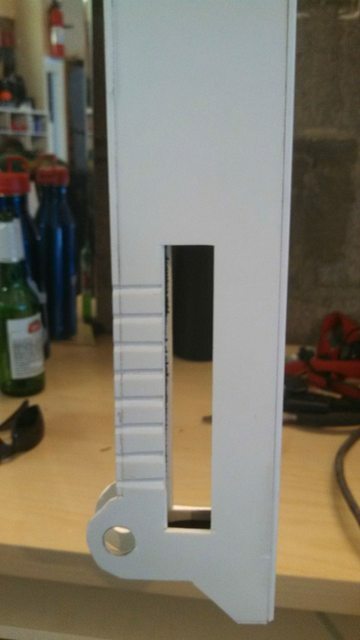 Added walls perpendicular to the PVC and added cloth to the sheath. Made sure that the cloth had a fairly rough texture so that the friction would hold the blade in place. 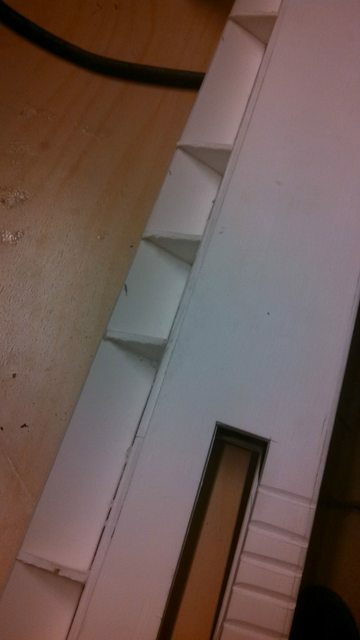 Cut the handle detailing with my box cutter. 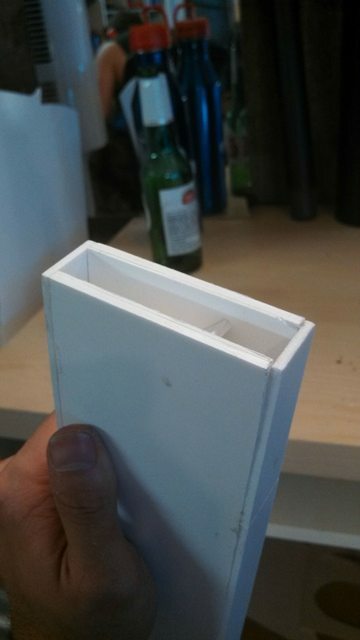 Closed up the box with PVC foam on the sides. 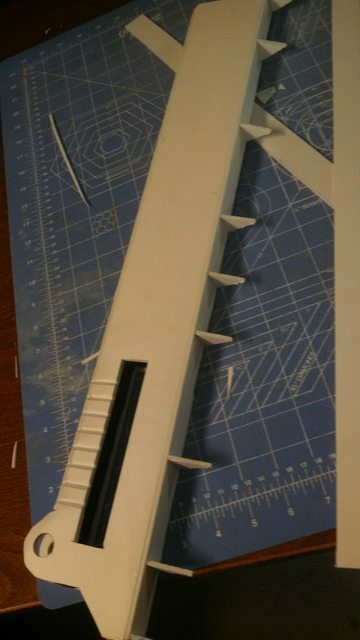 Added spines on the end to hold the blade edge. Wanted to keep the whole thing as light as possible. 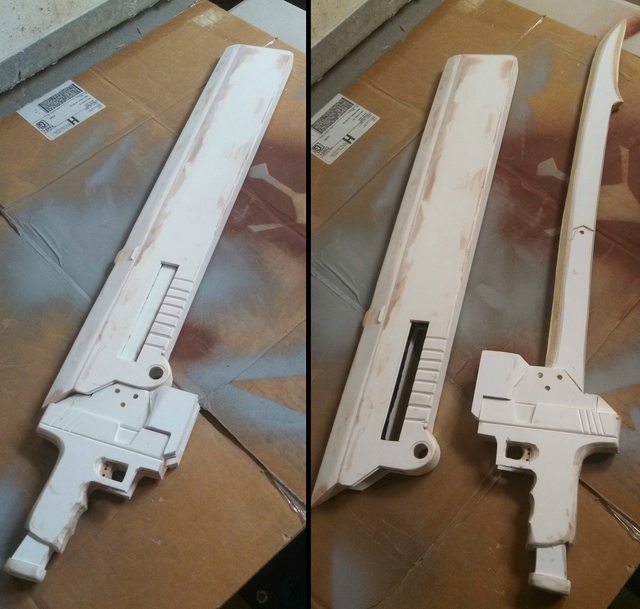 Added the bevel on the end with another PVC foam piece. Bondo...bondo everywhere to close the seams. 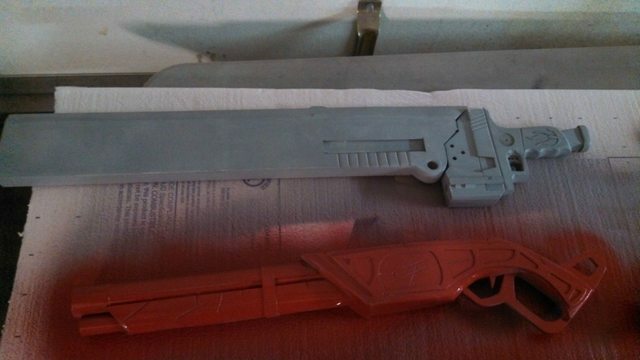 Prime with Rustoleum Filler Primer. It was actually sent off to get painted by a friend. Saved me SOOOOO much time. Girl did a great job!!! 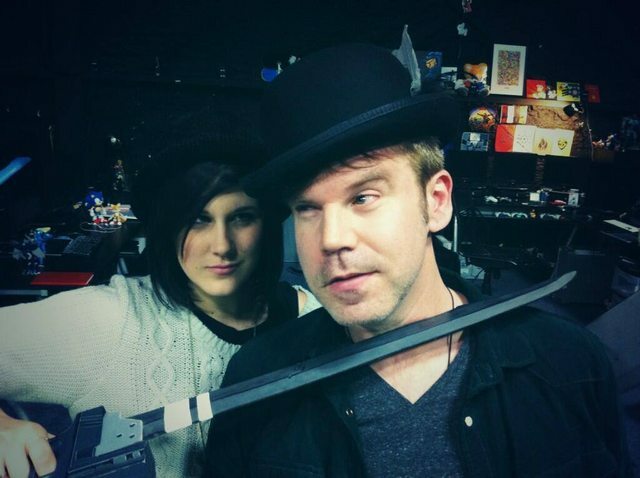 Arryn Zech (Blake's VA) with Gambol Shroud. 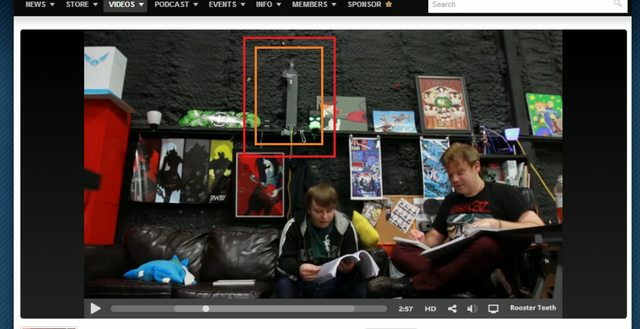 Seen in RWBY Vol 2 Production Diary 1. I don't know how long it was but if you take the reference images above (the solo shots) and print them 3 pages x 3 pages in MS Paint you'll get the size I used. To be honest I can't really identify cloth by name... so I can't really say. Though it doesn't really matter what you use as long as it generates a lot of friction. So pretty much anything but those imitation silks haha. GL! 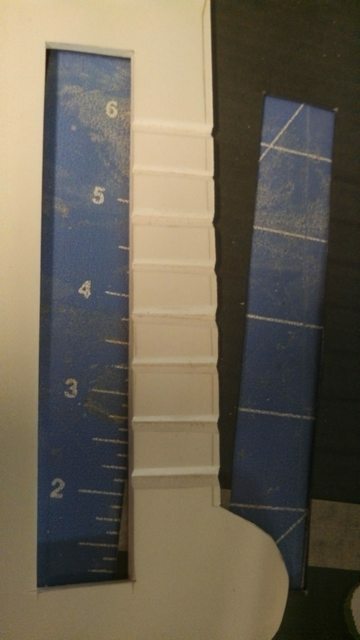 What is the rough width of the sheath? cheap womens barbour jacket cheap womens barbour jacket pieces a month, but the money must be used to pay tuition, but also to my mother to buy medicine. Is simply inadequate. But last night, but suddenly someone to cheap womens barbour jacket collect protection money, mouth is thirty thousand, cheap barbour international jackets and said if you cheap womens barbour jacket do not pay to put their sell Red Star nightclub. Cried the whole cheap womens barbour jacket night last night, then listen to his classmates say seventeen classes cheap thirteen Street mixed well, barbour jacket sale this came to him for help. 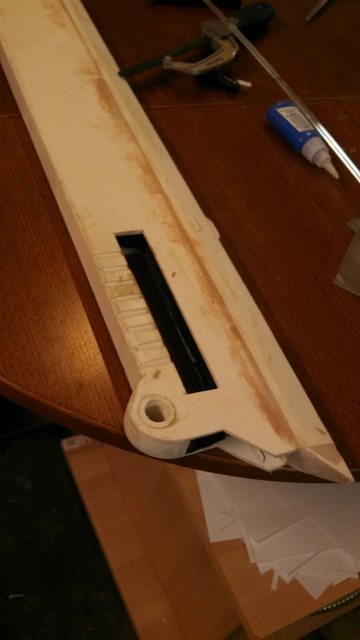 How do you cut the pvc foam?